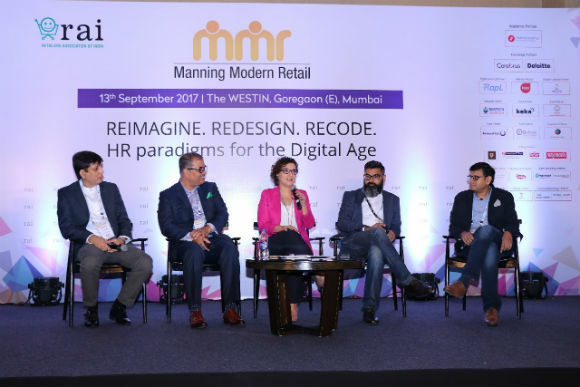 Mumbai: Retailers Association of India (RAI), the apex body of Indian retail industry, today hosted the 11th edition of its HR-focused conference, Manning Modern Retail in Mumbai. Eminent CEOs and HR heads of leading retail businesses convened to discuss the theme “Reimagine. Redesign. Recode HR Paradigms for the Digital Age” and help HR rise to the challenges of the changing times. Through its power-packed sessions the Conclave covered some very interesting issues relevant to today’s HR, not just in retail but across industries.  The focus is on giving employees the same technology / digital experience at the workplace as they have in their day to day lives, outside of the workplace.  Diversity is being used to drive innovation. Employees are being encouraged to experiment with different job roles and risks.  One size fits all approach with regards to people policies is giving way to managing employees on an individual level.  Analytics is being used to predict change in skills sets and prepare for them. 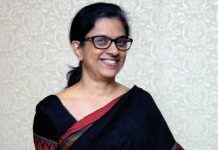  A power-packed talk by Dr A Velumani, Creator & Managing Director, Thyrocare.  A special session by Ashish Vidyarthi, National Award Winning Actor, Thinker, Speaker & Founder Avid Miners. As retail copes with digital disruptions, leaps in consumer and employee behaviour, MMR 2017 encouraged HR leaders to abandon traditional perspectives and practices to Reimagine. Redesign. Recode HR Paradigms for the Digital Age. Manning Modern Retail (MMR) is an HR Conclave focused on developing ideas and resource capabilities to understand the retail industry’s most pressing issues around people practices. It is also the most effective platform for convergence between Retail Education institutes, various skill development efforts of government and the industry. Over the years, it has gained the reputation of being the most prestigious platform for exchange on perspectives between multiple stakeholders including CEOs, CPOs, Academia, Thought Leaders and Operating Managers on HR in retail.